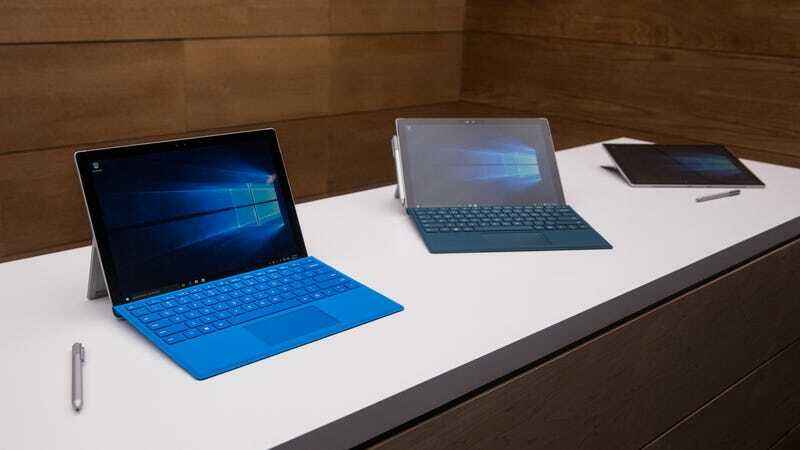 Microsoft has finally called a mulligan and will just replace Surface Pro 4 models that are experiencing screen flickering that makes the tablet-laptop hybrids unusable, Ars Technica reported. According to a Microsoft blog post, the company has determined that flickering issues that plagued numerous users—some of who resorted to drastic and ill-advised solutions like throwing their computers in the freezer—”cannot be addressed with a firmware or driver update.” Microsoft added that any user experiencing the screen flickering issues will be able to request a replacement Surface Pro 4 within three years of the original purchase date, though they’ll only be able to receive a refurbished unit rather than a brand-new one. Additionally, anyone who paid Microsoft out of warranty repair fees to fix their flickering Surface Pro 4 can request a refund. That could be a fair chunk of change, Ars Technica noted, as the replacement screens generally ran in the $450 range. It does appear to be somewhat noteworthy that Microsoft took so long to take action in this instance. Microsoft acknowledged the issues as early as February 2018, which is a long time to let a premium laptop line go without a solution to a serious issue. It’s not even the only problem with the line; at one point, Consumer Reports removed the entire Surface brand from its “recommended” section, claiming a quarter of owners experienced issues ranging from sleep mode issues to batteries that wouldn’t hold a full charge due to firmware issues. As of several months ago, thousands of users had allegedly experienced the issue, which appears to be either a manufacturing defect or design flaw, and they created a website titled “Flickergate” to pressure the company into action. Videos of the flickering issue show it is pretty bad, which kind of goes a little bit to explain why anyone would be desperate enough to risk permanent damage to components with the freezer solution. In any case, Flickergate has ended in a win for the impacted users. Since the Surface 4 Pro came out in October 2015, every device in circulation has at least a few months before the three-year period expires. So it’d be best to get a move-on if you want yours fixed.